The 2017 Acura TLX performance reveals that this is more than just an average sedan with a luxury coating. This car gives you the power, speed, agility, and capability you need to conquer the streets of Stratford. Regardless of whether you’re commuting to West Haven or burning up the pavement on the weekends, you’ll be in the right vehicle. Learn more, then put its performance to the test by exploring the TLX inventory Acura of Milford. This car is a great overall value thanks to standard fuel-efficiency ratings of 24 mpg city and 35 mpg highway. * There are also selectable driving modes – Normal, Econ, Sport, Sport+ – that let you customize the vehicle’s tuning and specs for exactly how you prefer to drive. 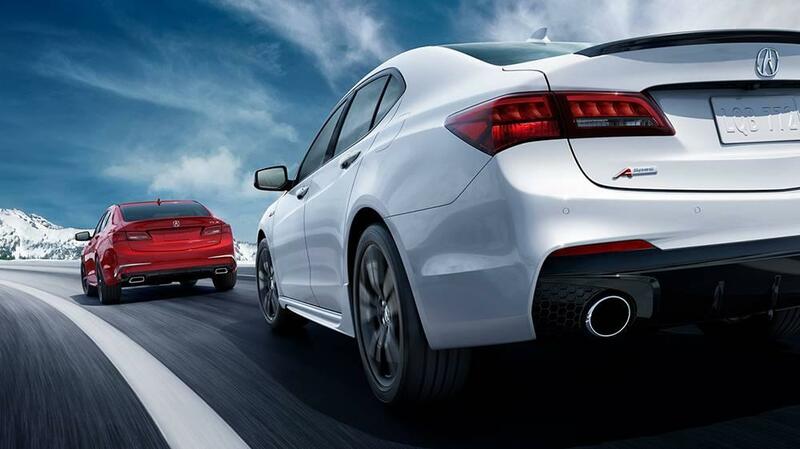 The TLX has also been carefully engineered from the ground up to provide smooth and stable driving dynamics in average conditions, and agile and athletic dynamics when you need the car to perform at its peak. To really get a feel for what this car can do, we suggest you test drive the V6 powertrain first. Visit Acura of Milford to climb behind the wheel and explore TLX package upgrades, and depend on us to handle all your financing needs. If you need directions from Stratford or West Haven or more information about the car or the dealership, please contact us at your convenience.